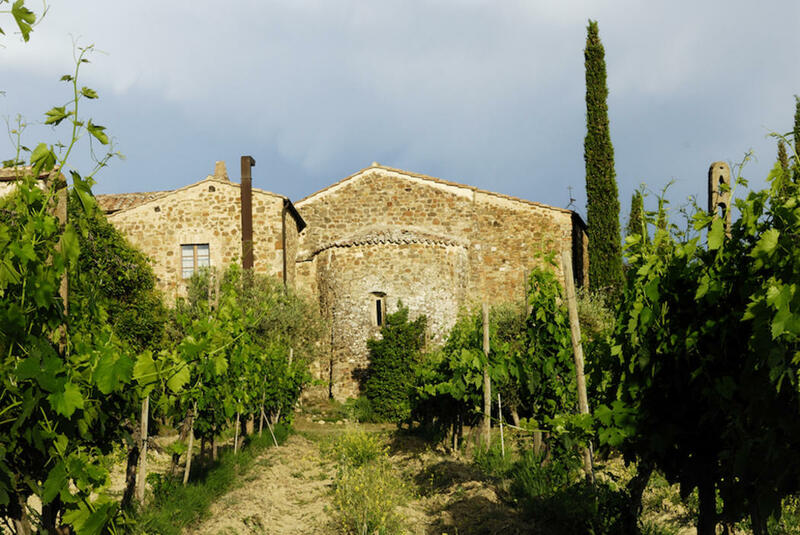 In the Montalcino area, nestled among Brunello vineyards, spectacular accommodation complex with five luxury apartments, restaurant, wine cellar, pool, historic church, 16 hectares inc. vineyard and olive grove. 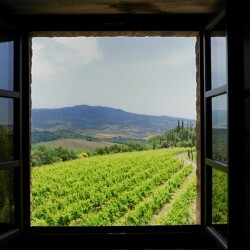 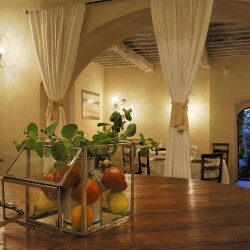 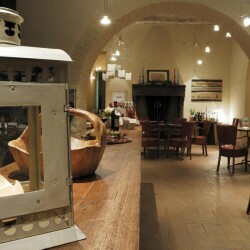 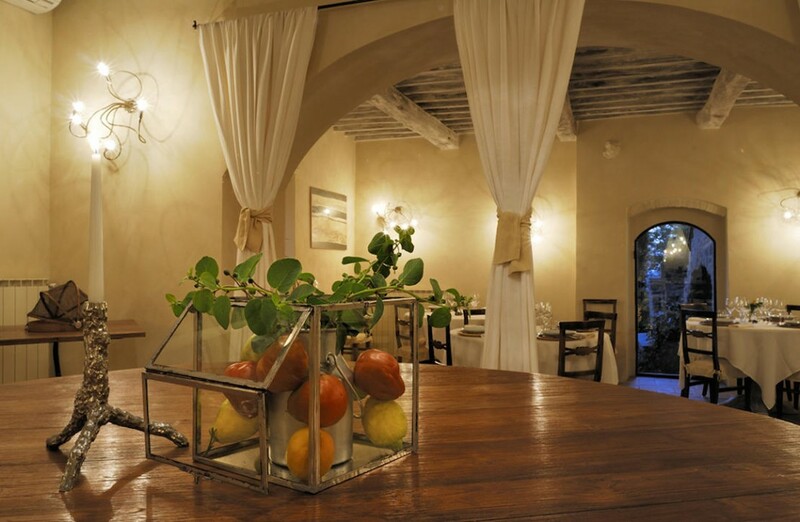 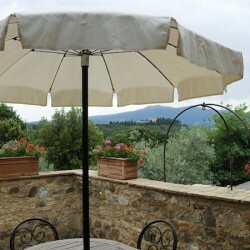 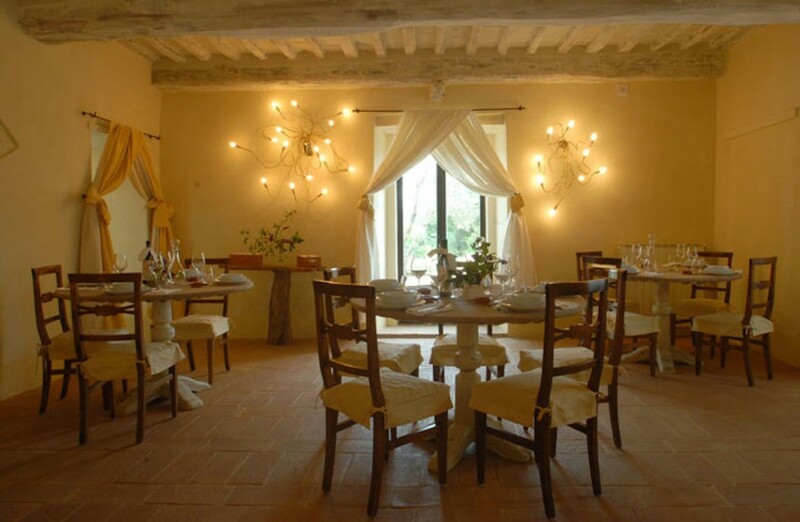 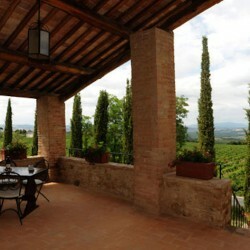 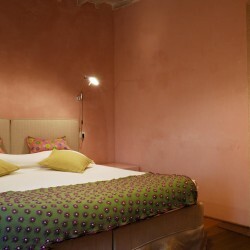 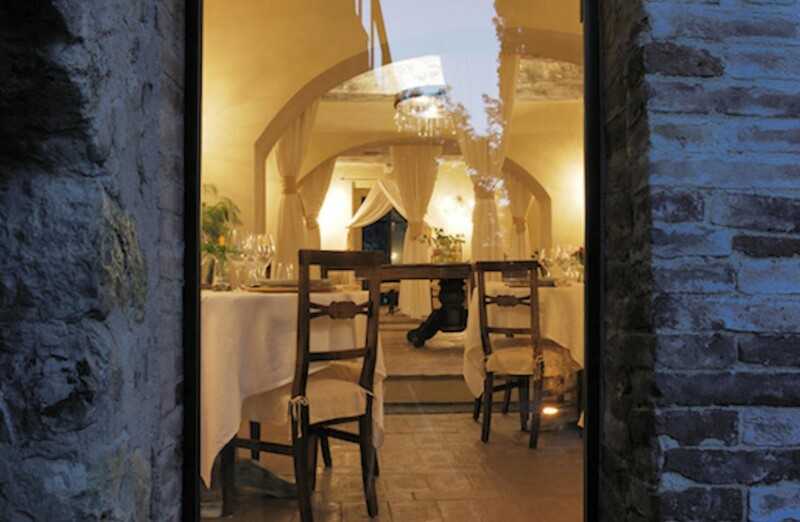 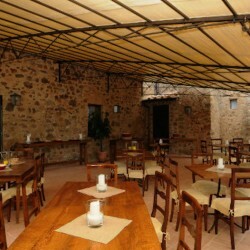 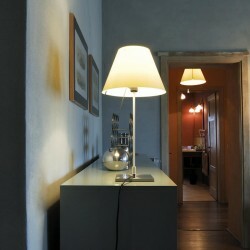 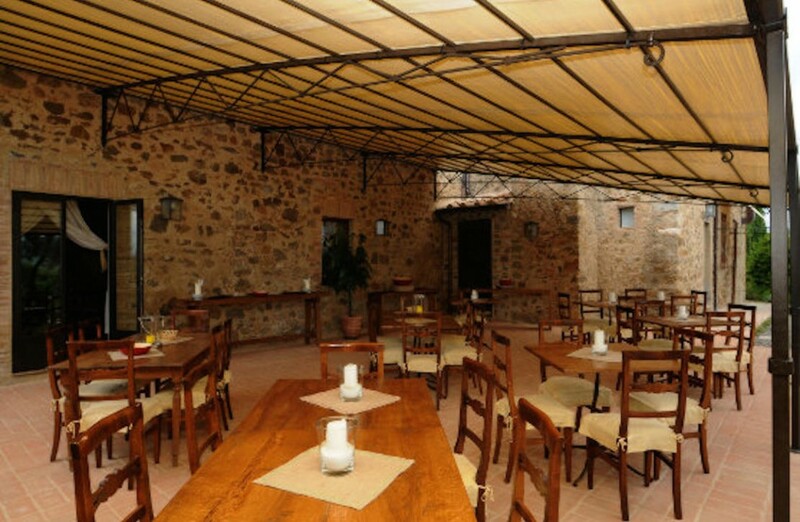 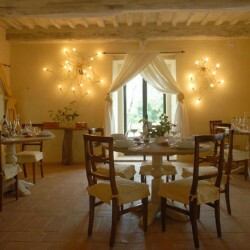 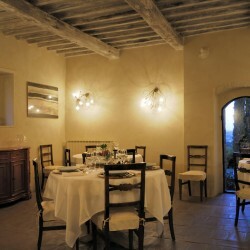 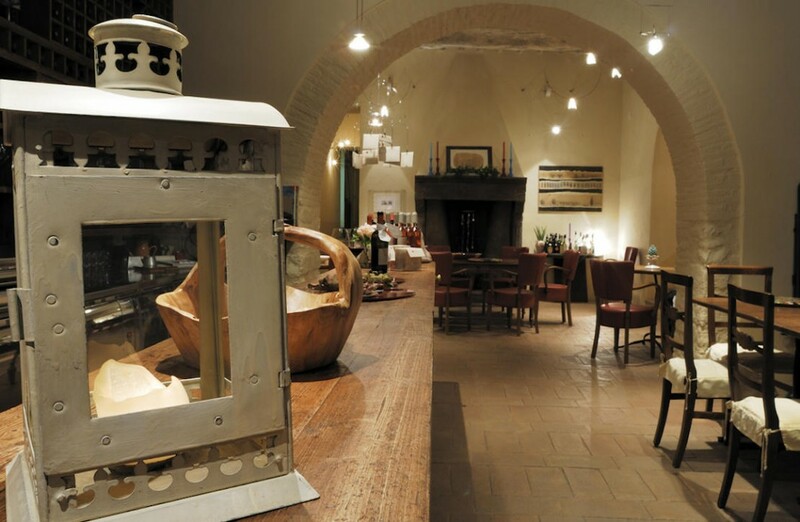 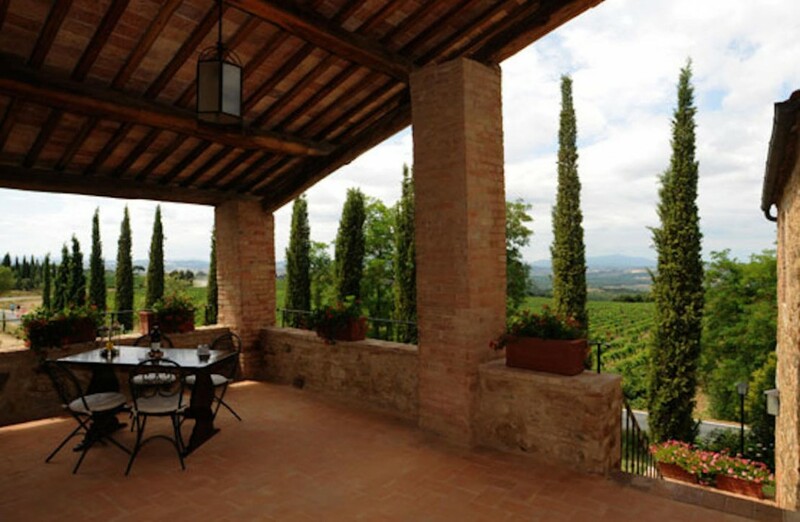 In the prestigious area of Montalcino, elegant tourist residence for sale. 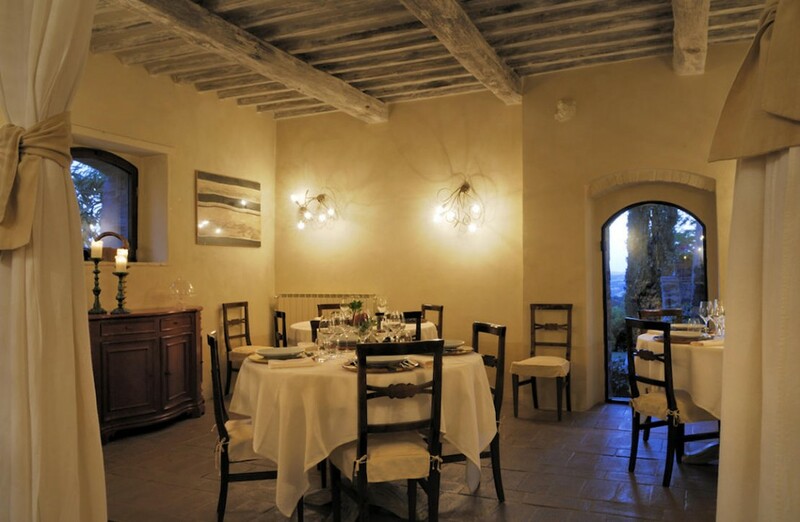 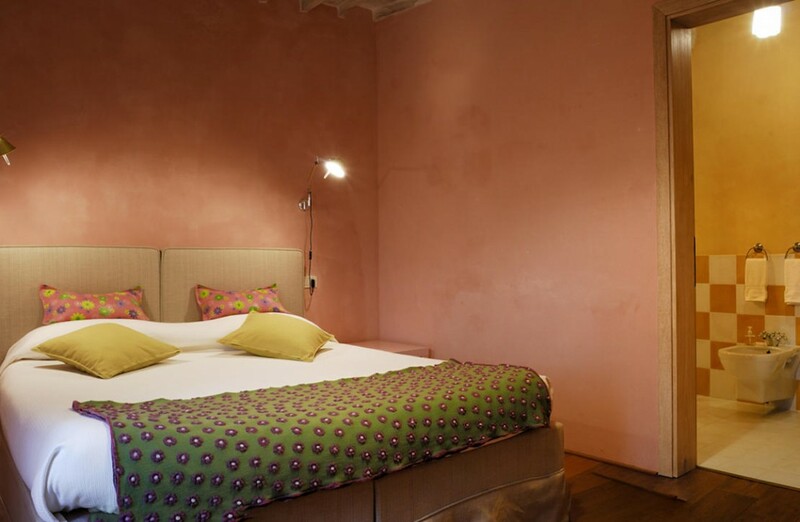 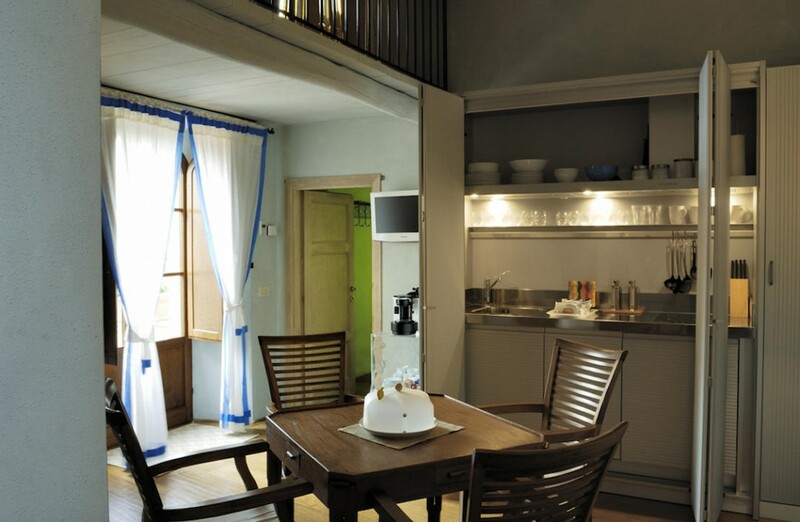 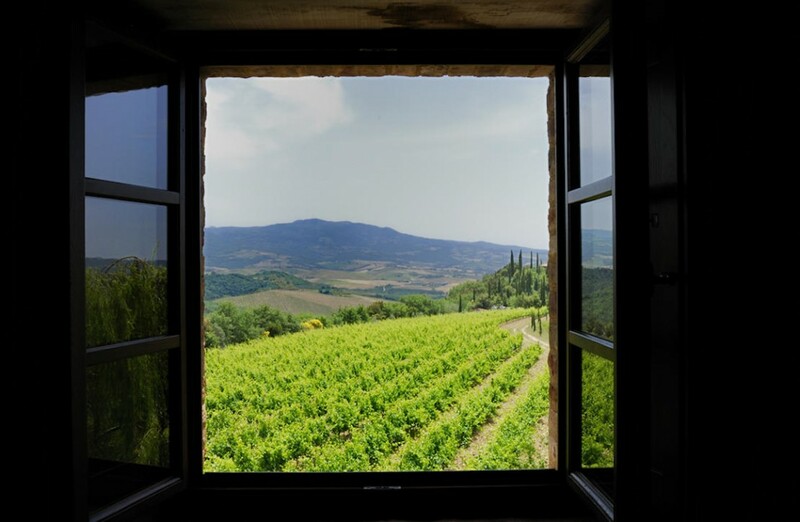 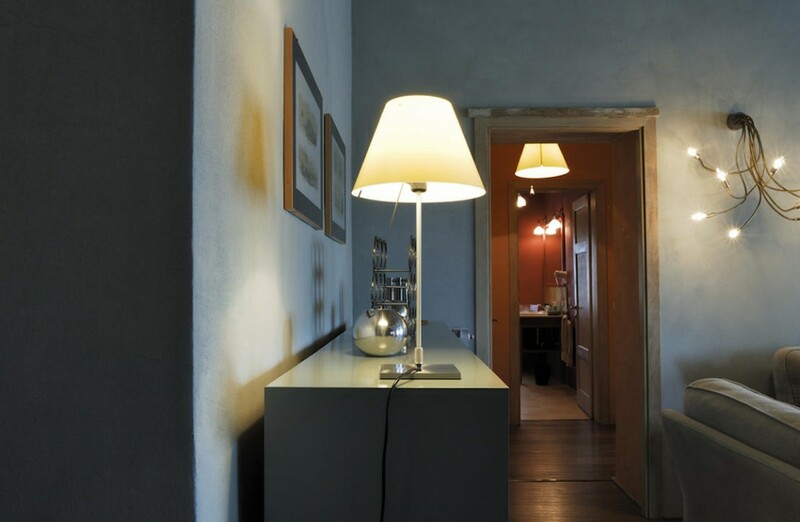 Nestled among the noble Brunello vineyards, the spectacular accommodation complex consists of five luxury apartments beautifully renovated respecting the original features, a stylish restaurant and a wine cellar. 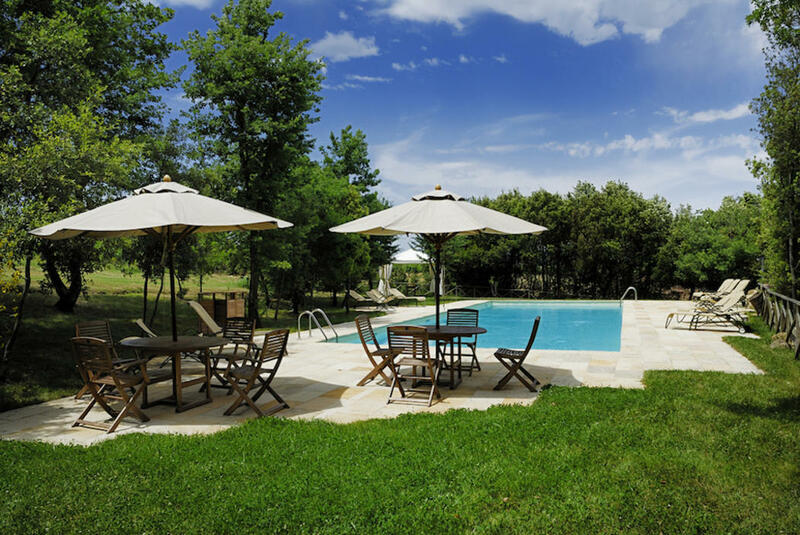 Externally there is a large swimming pool with relaxation areas. 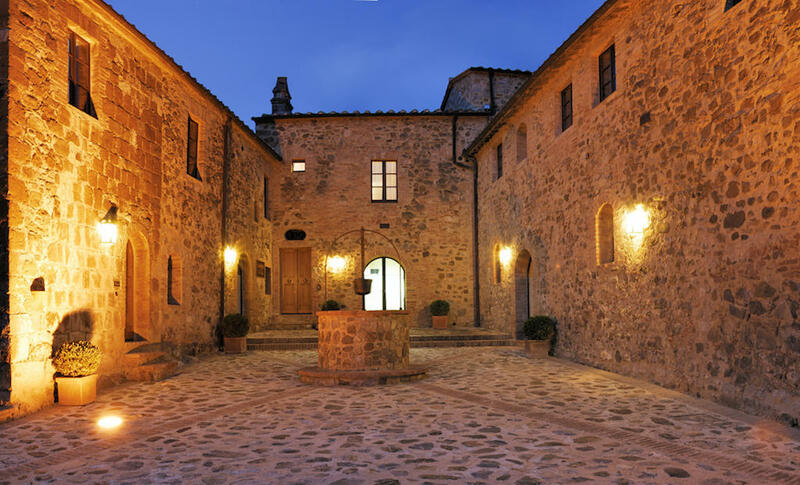 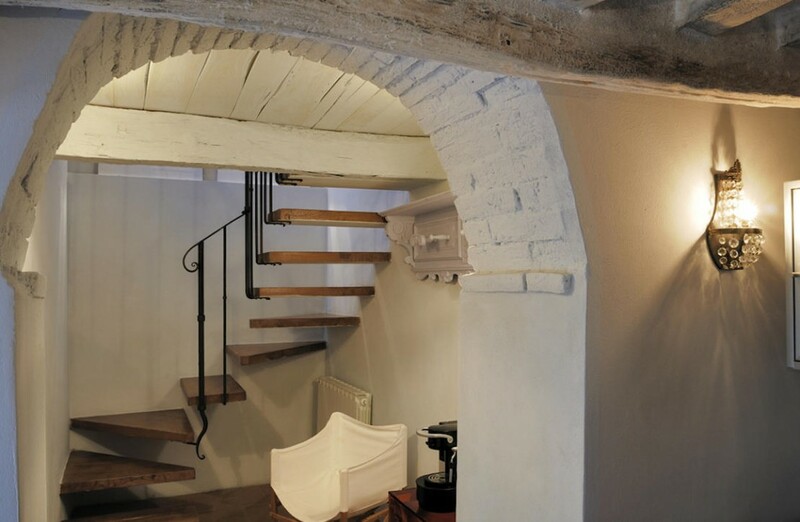 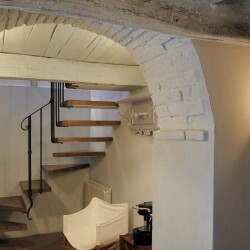 A historic church, consecrated in the thirteenth century and expertly restored, gives the residence a charming and unique feel. 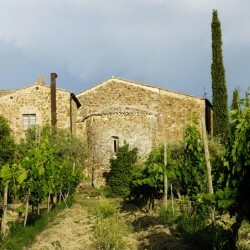 The land surrounding the property is about 16 hectares with a small vineyard and an oil producing olive grove. 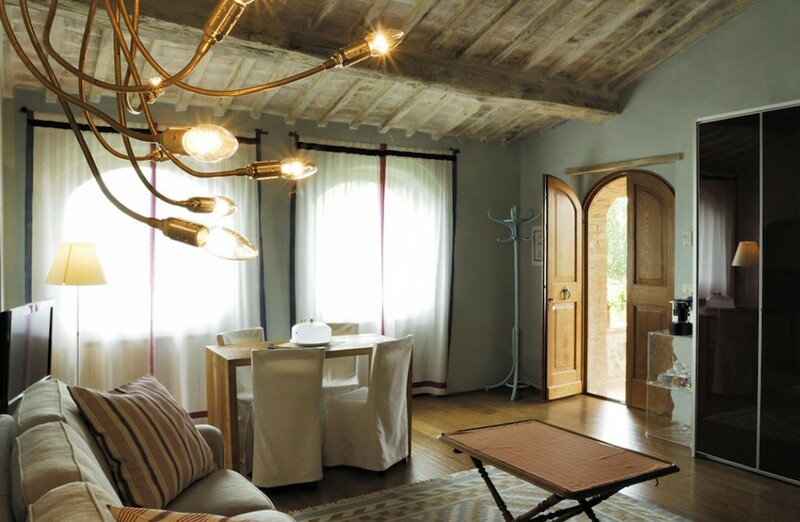 Rare opportunity to purchase a totally unique and elegant property.